OBSERVATION HILL – Labor tension though the early 20th century in Duluth, Minnesota was high, fueled by influx of workers from egalitarian Scandinavia. The post World War II fight was settled in the workers’ favor. As the century moved on though conditions changed. 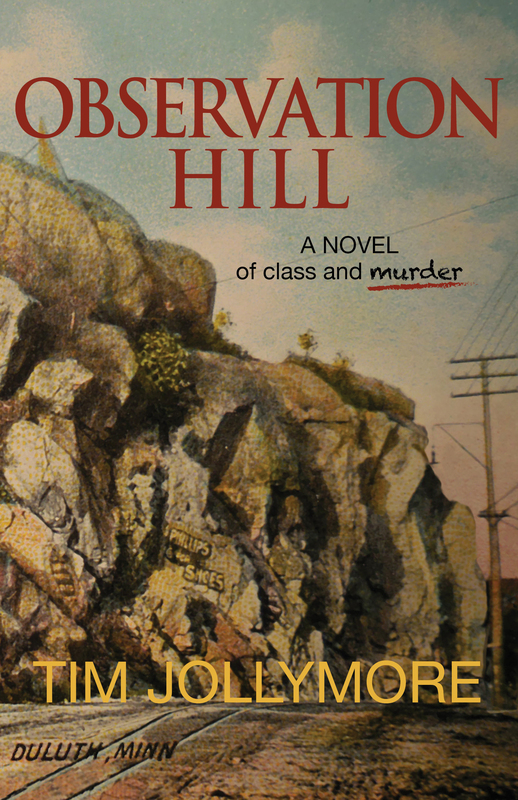 Class struggle in Observation Hill erupts inside police detective, Paul Tuomi, as he investigates the deaths of an heiress from the patrician East End and an underclass teen in the laboring West End. When police resources shift to the eastern end of town, leaving a cloud of suspicion on the young man’s passing, Paul is told to back off but, instead, doubles his effort to clear the youth’s name. Out east, with pressure from the press and the powerful to arrest the black sheep of the heiress’s family, Paul is pushed to disregard eye-witness fact and bring to heel his West End sensibilities or face demotion on his job, the end of his marriage, and the loss of his long-time lover.